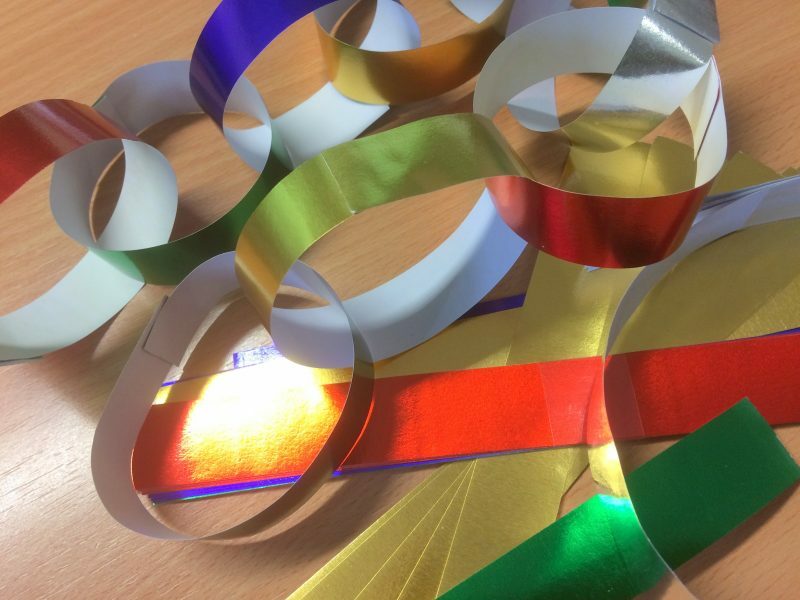 You can buy packs of ready cut paper (plain, metallic or patterned) to make these paper chains. Or cut strips of paper yourself to stick with a glue stick. Strips of 2cm by 20cm are the ideal size. 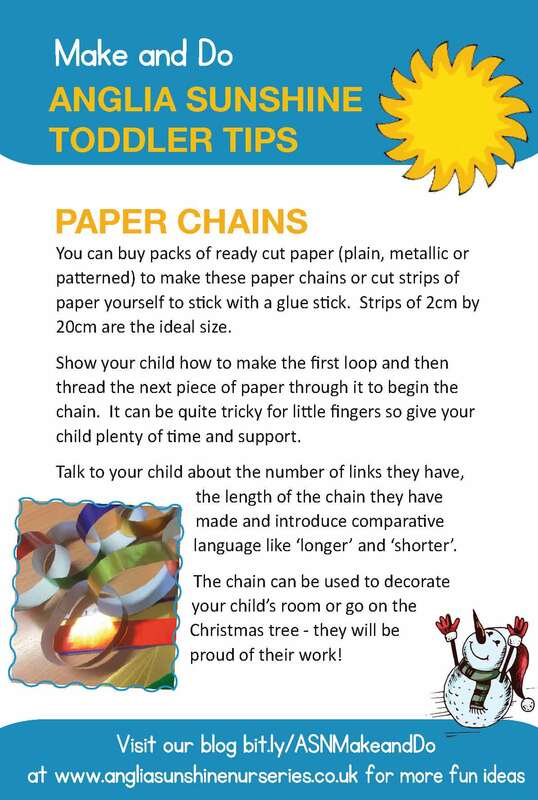 Show your child how to make the first loop and then thread the next piece of paper through it to begin the chain. It can be quite tricky for little fingers so give your child plenty of time and support. Talk to your child about the number of links they have and the length of the chain they have made. You can introduce comparative language like ‘longer’ and ‘shorter’. The chain can be used to decorate your child’s room or go on the Christmas tree – they will be proud of their work!